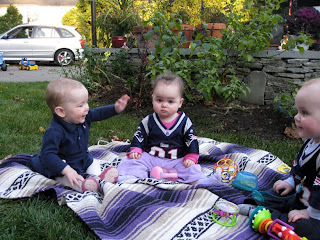 We were able to sit and play outside all weekend long due to the unseasonably warm weather! 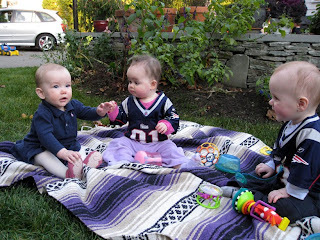 We helped with yard work on Saturday and then yesterday we went to a birthday party in Milton! 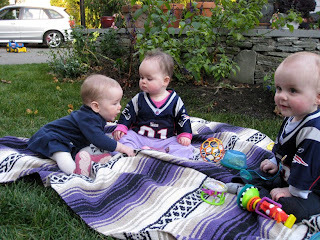 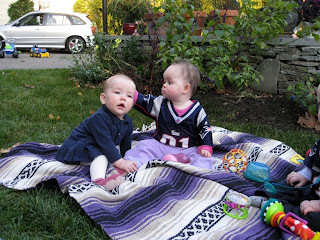 We got to hang out with our friend Greta... it was alot of fun and we were all laughing and playing. 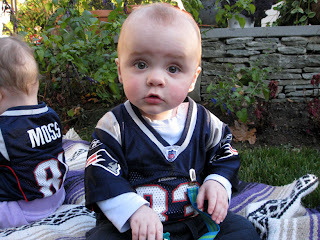 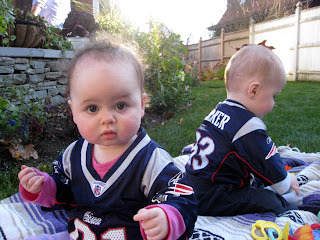 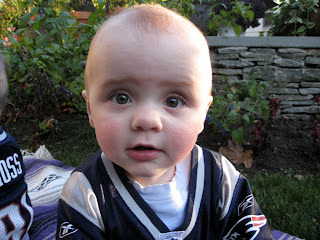 Yes, we always wear our Patriots uniforms on game days!